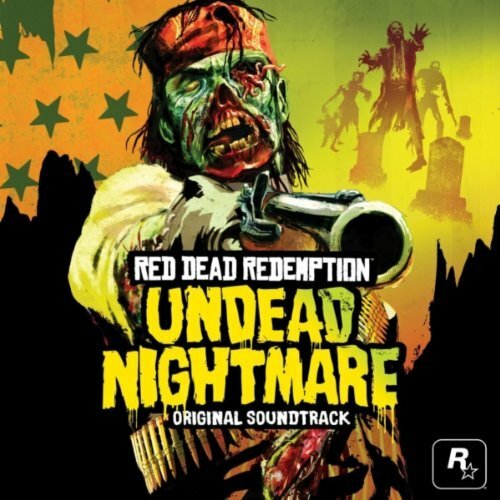 Red dead Redemption Undead Nightmare starts off with an eerie musical tone that is spooky and gives a terrifying impression upon first hearing it. A loud voice is heard narrating the start of the story talking about John Marston who has returned home and rejoined his family after his ordeal in Red Dead Redemption. The narrator explains that John is pondering whether he can escape his troubled past or return to normality and that John is now a man who can handle anything with the narrator saying "Almost anything" then laughing at the end which sends a clear message to the player about what is to come in the future which could be bad. As the first cutscene opens we see Jack Marston reading a book when Abigail Marston mentions that their uncle hasn't returned. John shrugs it off saying that the old man could've taken shelter until the storm is over. Uncle is seen loitering around the house and later in the night John and Abigail are attacked by uncle. John heads out into the barn to get his rifle but its too late as uncle is seen chasing after Abigail as she exits the house. John proceeds to shoot uncle after he bits Abigail and Jack Marston. John decides to hogtie them both and store them in his bedroom. At this point join heads out into the wilderness to find a cure for the disease. A small summary of the story situated on the back cover of the game. 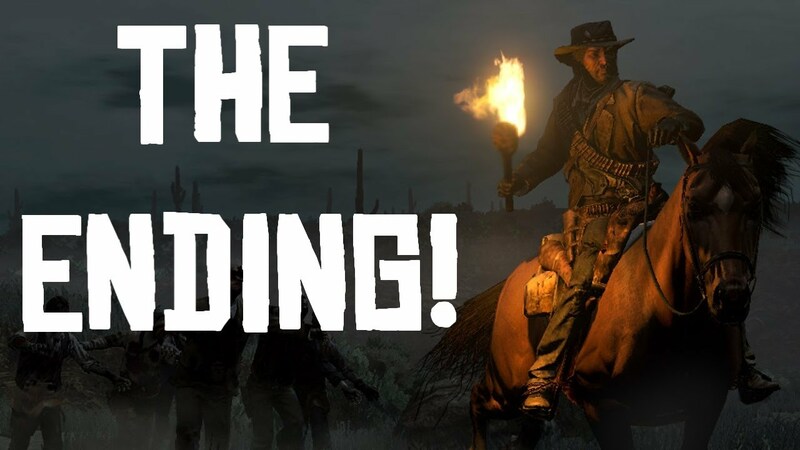 The story of Undead Nightmare starts as John Marston,the main character looking for a cure to save his wife and son,Abigail and Jack Marston. John embarks on a quest across the frontier from Blackwater to Armadillo and Bonnie Macfarlanes farm across the Rio Grande and into Mexico. John will meet many survivors along the way including past characters such as Harold MacDougal, a doctor who left Blackwater for Yale, Nigel West Dickens, the potion dealer and Seth Briars, the grave digger. In my opinion the story is very interesting and different from other Rockstar titles as Rocksar generally doesn't make zombie games. It stands alone from other games and is also one of the first to feature zombies in a wild west setting. The game mixes these elements very well as the story concerns returning an aztec mask back to its cave as one of the characters Abraham Reyes has removed it and therefore unleashed the zombie hordes. The story is well driven and makes sense regarding how to defeat the zombies and the mission length. It is also well layered. In my opinion the story is good with interesting plot points and several interesting missions such as a cure for what most ails you and the pale horse. 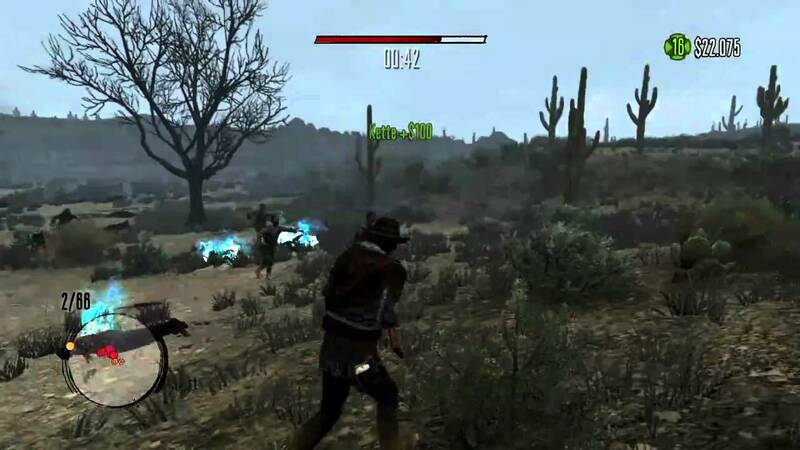 The gameplay and controls are pretty much the same as Red Dead Redemption but there is more emphasis on killing large hordes of zombies rather than killing small groups or individual enemies. the difficulty in killing these zombie hordes is significantly reduced however because of the fact that the zombies have a slow pace of walking and intelligence giving the game a more hands on approach and more time for the player to decide on which way to kill them. This is probably one of the main differences of the game compared to Red Dead Redemption. The guns and pickups also handle with the same fluidity and fast pace as they usually do with other Rockstar titles such as GTA IV or GTA. The mini map is also the same with red dots still representing enemies and the money meter also stays the same. In my opinion the gameplay and controls stay the same as previous Rockstar titles such as GTA IV and GTA V so this is very familiar to me which i like. I also like the pace at which the character moves and the enemies move. The weapons wheel and menu map and options layout is also the same so this game is very familiar to play. 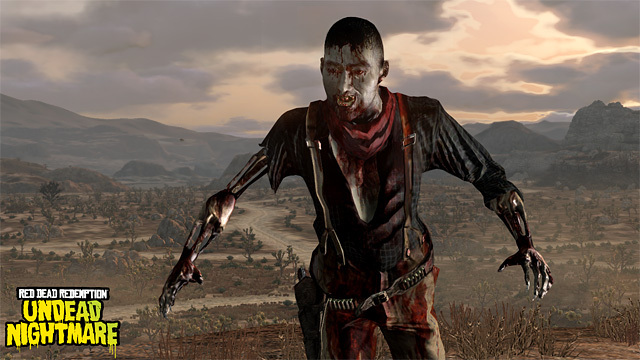 Image showing an undead zombie. The graphics in the game are very detailed and very creative as the game now features ravaged,bleeding,dirty zombies which feature blood stains, dirty torn clothes and rotting flesh. The green yellow haze which appears on the main menu map and the games cover gives off the sense of putrid disgust and a bad smell which can be represented by this color. The front cover of the game which features a zombified John Marston is also quite scary and shocking when you first see the cover. The revamped text also featured on the front cover also gives the sense of injury and death which is very relate able to the zombies featured in the game. In my opinion the graphic are very good and detailed. They are very accurate to how a zombie looks from modern culture such as Night Of The Living Dead or Dawn Of The Dead movies and from comic books and Stephen King novels. The graphics are very detailed and beautifully colored with interesting spooky fonts which gives this terrifying sense of fear before you play the game. the official soundtrack of the game. The audio is quite spooky and haunting as the game opens with a chilling tone and howling wolves. The game features more spooky and scary sounds more so than music which makes the experience more immersive and terrifying for the player while they play the game. This also keeps the player on their feet. In my opinion this is good placement of sound as music would diffuse the sense of fear and remove it. Instead the sounds amplify the creepy tone the game portrays which is really good. A scene clearly showing the game nearing its end. 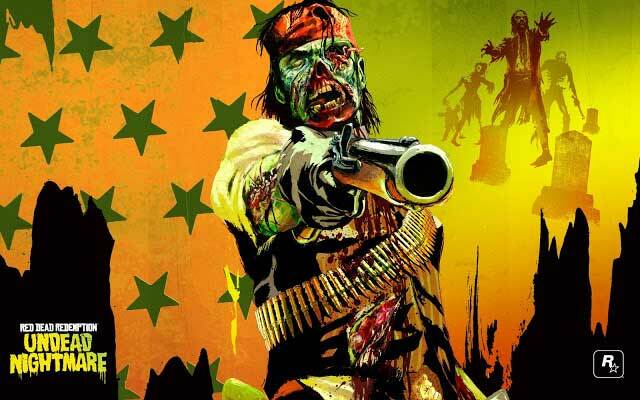 In my conclusion Undead Nightmare is unique in that it is a third person snadbox western shooter but also a zombie game. Undead Nightmares zombie hordes could be compared to that of left 4 dead or Call Of Duty's zombies mini game or Dead Rising but it can also be compared to past western shooters such as its predecessors Red Dead Revolver and Red Dead Redemption and Gun. Undead nightmare is one of the first games to successfully mix these two genres. I like the way the game has kept its smooth gameplay and not changes its take on its controls or its weapon layout or map. The different coloring helps the game more appealing to an audience who are fans of the undead or zombie culture in general. The new characters also helped to make the story more interesting with the new story mode which involves obtaining an ancient Aztec face mask and returning it to its rightful place very intriguing and engaging as it encourages the player to stay on track and focus along the way. The weapons in the game are also quite cool with old weapons making a return appearance with new weapons such as the Mauser pistol,volcanic pistol,semi automatic pistol and the blunderbuss rifle.The weapons are also very useful against the undead such as the volcanic pistol and the blunderbuss rifle as they pack a lot of stopping power. 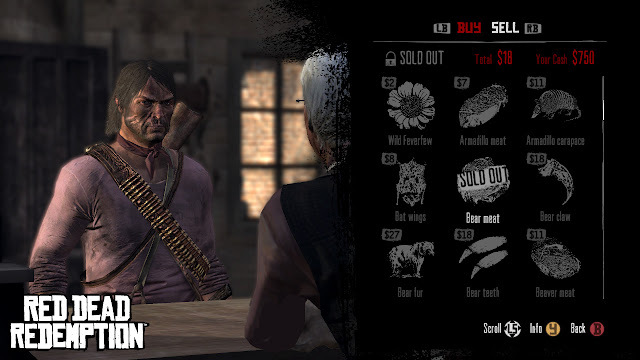 In my opinion, everything that Red Dead Undead Nightmare has to offer is more than enough to satisfy the tastes of zombie lovers and wild west fans and also offers enough in its replay ability value as Undead Nightmare features online game modes such as Undead Overrun where several players in a group must fend off hordes of zombies in waves. The object of this mode is to kill enough zombies to fill a red meter to stop a timer and kill the remaining zombies while the other players provide backup or are revived from the red meter refilling. Overall i give Red Dead Redemption Undead Nightmare an 8/10 for its driven story,its previous and new interesting characters and its online game modes. John Marston purchasing items from the store. 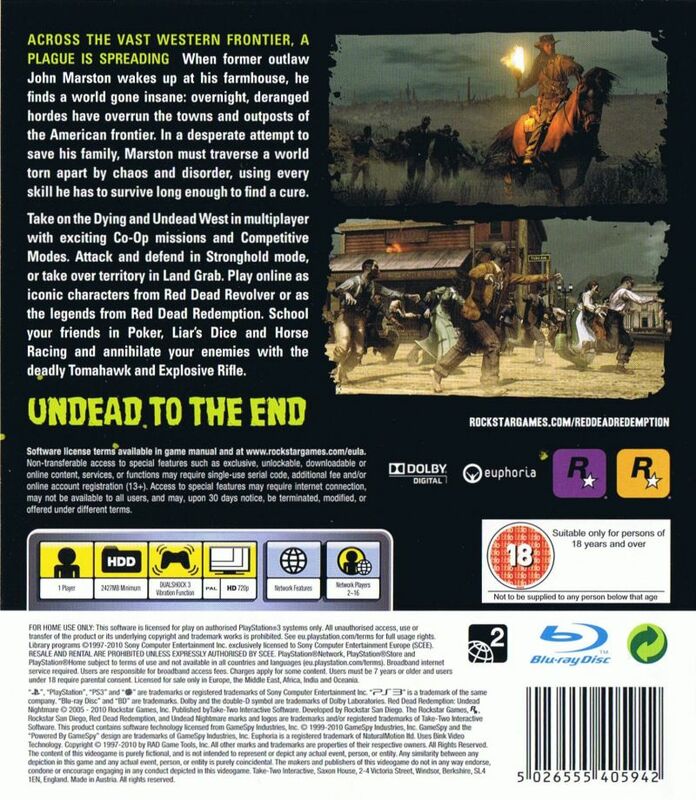 The pricing for Red Dead Redemption Undead Nightmare is quite good with the game costing 800 Microsoft points on Xbox 360 and $9.99 in the United States and £7.99 in the United Kingdom which also applies to the PlayStation Network Prices also. Today the game can be found on shelves of Gamestop or Ebay retailing anywhere from $8 to $20.